Radiators | Recycle USA, Inc. 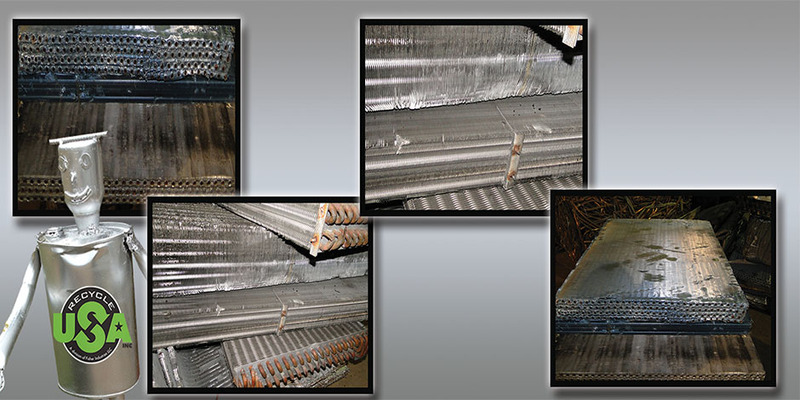 Recycle USA, Inc. pays cash for scrap radiators of all types, whether from a small car or large truck. We recommend removing any plastic from the sides–that way you can sell your radiator as a clean piece of material and make a little more money! Casting alloys containing more than 5% foreign material are divided into high or low recovery. This item is commonly found in aluminium engines and transmission parts but also used in other products. As a new pre consumer product this is a 1100 alloy, once used it is known as UBC (used beverage can) or RBF-UBC. Cast aluminium can be produced using several different casting processes that include sand, permanent mold, die, lost foam, or squeeze. Common products will be found with engine parts, transmissions as well as other not so common products. Cast can be bought as clean as long as all foreign material has been removed, if not it could be bought as a breakage. This category is for almost all alloys of sheet aluminium that contain a small amount of foreign element. Common material would be sheet aluminium that may have screws, nails or a small amount of plastic. This can include lawn chairs, rain gutter, siding and other sheet aluminium products. Aluminium EC Wire A common conductor found in different gauged wire that is shielded with a rubber or plastic outer layer. The aluminium used in most of this product is no less than 99.5% pure giving it a high value if it’s stripped of it’s outer shield. Any sheet or clip aluminium that has been contaminated with paint will be bought in this category unless the paint is unusually thick or contains other foreign material, then the material will have to be downgraded.